Wilma Dugger Thomas passed away peacefully on Oct. 1, 2013, at her sister’s home in Nevada. Wilma (Willie) was born Oct. 15, 1926, in Altamont, Mo., to George and Gladys Davis. They moved to the Wood River Valley in 1936. Wilma attended Bellevue High School and lived in Hailey for over 40 years with her first husband, Robert Dugger, and her four children, Marcia, Marie, Richard and Jonathan. 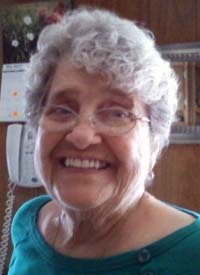 She worked for many, many years at Wood River Building Supplies, where she was well known for her constant cheerfulness, her kindness and her lovely smile. Wilma traveled to Yuma, Ariz., in her later years and met and married Charles Thomas. Wilma traveled through the West visiting and staying with family and has lived for sometime in Nevada. Her family is what had always mattered most to Wilma and there was no bigger joy in her life than being with them. She devoted her time and energy as a caregiver and a great friend until her recent passing at age 86. She will be missed very much by many who loved her greatly. Wilma is survived by her sisters, Alice Godby and Dilla Hunter; her two daughters, Marcia Borncamp, (spouse Bill) and Marie Hall (spouse John); and grandchildren, Wade, Brent, Shelly, Robby and Shane: and a great-grandchild, Kyson. She was preceded in death, and now joins, her two sons, Ricky and Jon; husband, Bob; husband, Chappy; and siblings, Marcine, Bob, and Bill. A memorial service will be held in Hailey next spring and advanced notice will be given.